TelconetMaestro enables telecom companies to pursue new strategies by unifying all operations geographically. Mapbis provides its own ready-to-use and customised software, and on-site support staff for startup and ongoing development. Our clients become able to extract the maximum information from any previously used data formats, e.g. paper maps, while integrating them into a digitally zoomable, searchable environment. Decisions on new fiber optic lines in the network can be made strategically. Customer data can be updated in real time and analysed at any scale, and are integrated with all other available knowledge for instant use in daily operations and strategic growth. TelconetMaestro is implementing telecom specific GIS solutions for fixed-line and cable TV networks for many different companies. Turk Telekom (TT) was formerly a monopoly provider of telecommunications services in Turkey. TT was privatized in 2005 and since then has developed a new corporate strategy in light of the global trend toward GSM for telephone services. The challenge has been fourfold: first, to convert paper maps to a digital, analyzable format; second, to plan network upgrades to fiber optics for the greatest return on investment; third, to use a real time updatable system for guiding the sales team to potential new customers and to current customers for service upgrades; and fourth, to integrate all these into a single, easy to use, digital environment. ALBtelecom, formerly a government agency and telecommunications provider in Albania, was privatized in 2007 and since then has been growing rapidly. The managers of ALBtelecom wanted to use their customer and network data more strategically. The problem was that the data were stored unsustainably in many different formats, including paper maps, CAD files, and scanned images. Mapbis has delivered nationwide coverage of Turkey with detailed maps for Vodafonea has newly established LBS platform. Working with Vodafone IT (previously known as Oksijen), Basarsoft also delivered the mapping engine of the LBS platform developed by Vodafone IT. The system delivers the location of the mobile unit and the desired point with a shortest/fastest path and driving information with text and maps. The system was launched in June 2007, with 18 major citiesa navigable attributes and the remainder as a base map, covering all of Turkey. 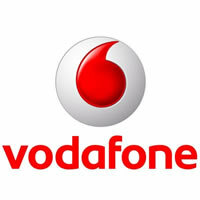 Currently the whole range of navigation data & POI is supplied to the Vodafone. Mapbis has developed custom applications for Turksat Cable TV & Wireline Internet Customer Infrastructure in 22 metropolitan areas in Turkey (50% of the national population). © Copyright Mapbis 2019 - All rights reserved.